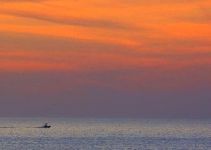 Punta Gorda, Florida started as a sleepy fishing village on the south side of the Peace river and at the mouth of Charlotte harbor. It's still a very popular fishing and water sports recreation destination for visitors. Spanish for "Fat Point,", Punta Gorda is home to the county government of Charlotte. The city received state historic status and its new streetscape program is restoring the historic downtown area to a pedestrian shopping and working delight. Interested in reading more about real estate in Punta Gorda? Scroll down to search for all the "active" SW FL MLS listings currently for sale or to get more information on it's history, amenities and attractions. Our site gives you the tools you need to have an advantage over other buyers and sellers of Punta Gorda, Florida real estate. 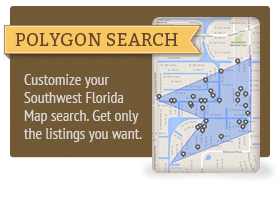 It's easy to register for free, and you'll be able to save your searches, bookmark properties you're interested in, and even get updates when new Punta Gorda, FL Homes for Sale MLS listings matching your criteria right when they come on the market. Amidst renovated old Florida homes the city planners designed and installed cobblestone streets, period street lamps, and brick walkways interspersed with restful benches and shade trees. There is the feel of a definite renaissance in Punta Gorda. Bistros are open with outside patio dining, flowers bloom all year, and the entire city center is spiffy and homey. Near the city's center, you'll find art galleries, banks, businesses, salons and restaurants – all centrally located and easily accessible. Just a few blocks from the historic downtown district is Fishermen's Village on the harbor with a yacht marina, resort club, launching facilities, shopping, dining, and vacation rentals. The Village is also host to much of the night life and entertainment in downtown Punta Gorda. Twice a month the city conducts trolley tours to various local businesses where you can enjoy the cool sea breezes with a little history and brief stops at the specialty shops with an invitation and coupon to return for future shopping. This is great way to relax and get familiar with historic Punta Gorda. 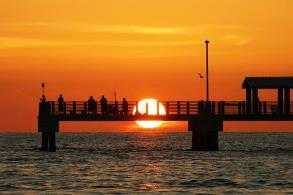 The Punta Gorda real estate market is growing and offers many opportunities. In recent years many retirees and young families moved to Charlotte County since affordable living, buildable land, and new businesses are moving to the area. The riverside section of Punta Gorda is where you'll find condominiums where none were before. To the east of 75, new subdivisions are springing up, and at Punta Gorda Isles there are new shopping centers, existing homes are being renovated, and new multi million dollar Gulf access properties are being constructed along the miles of canals that connect to the river. If you're willing to grow with a community, Punta Gorda is the place to live. 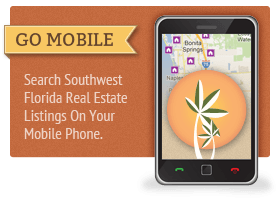 If you would like to schedule a showing or get started on a more in-depth search for Punta Gorda, FL Homes for Sale, please don't hesitate to call us. To ask a specific question now, contact us directly. One of our Realtor® associates will be glad to help!